Starred Review. Two of H.P. Lovecraft's Fungi from Yuggoth sonnets appeared in the Library of America's American Poetry: The Twentieth Century, Vol. I (2000). 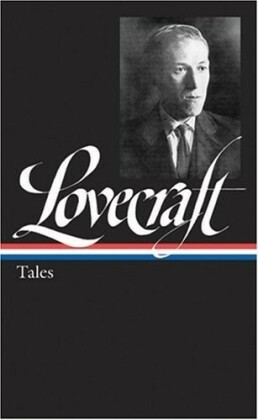 Now Lovecraft (1890–1937), the most important U.S. horror writer since Edgar Allan Poe and a big influence on nearly every major figure in the genre after his day, has been honored with a volume of his own in this prestigious series. Drawing from scholar S.T. Joshi's definitive texts, Peter Straub, the bestselling author of In the Night Room, has selected 22 works of fiction, ranging from such traditional ghostly tales as "The Outsider" and "The Rats in the Walls" to such lengthy cosmic narratives as "The Call of Cthulhu" and "At the Mountains of Madness." This edition represents the latest scholarship, including a recently discovered missing passage from "The Shadow Out of Time" and a few new minor corrections. Some may quibble over the inclusion of the pulpish "Herbert West—Reanimator" and the even worse "The Lurking Fear," though they're of interest as rare examples of Lovecraft aiming to please an audience other than himself. Still, all the best fiction is here in a book sure to help reinforce Lovecraft's place in the American literary canon.